The bad weather is tipped to last through Saturday. NSW is copping a drenching as a low moves southeast across the state. NSW State Emergency Services has had more than 400 calls for help as torrential rain continues to fall along the east coast. A severe weather warning is current for coastal areas from Newcastle all the way to the Victorian border, with a low pressure system moving southeast. 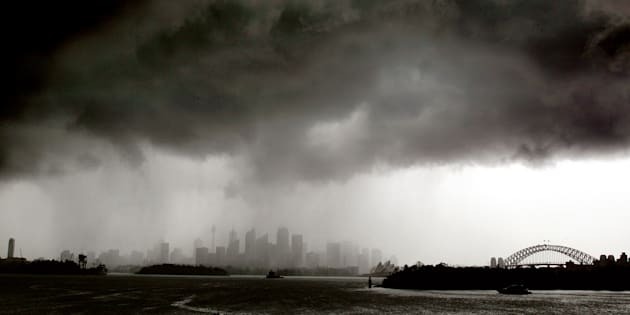 Flash flooding has hit parts of Sydney while areas of the Hunter have received more than 120 millimetres of rain in the last 24 hours. The Bureau of Meteorology said a low off the central parts of the New South Wales coast was expected to move south to southeast on Saturday. "Heavy rain and thunderstorms may lead to flash flooding today," BoM said on its website. "24 hour totals in excess of 100 mm are possible. A Flood Watch is current for the St Georges Basin and the Moruya and Bega river valleys. "Locations which may be affected include Newcastle, Gosford, Sydney, Wollongong, Nowra and Batemans Bay."